Editor’s Note: On Feb. 11, 2018, Chris Mazdzer won the Olympic silver medal in men’s singles luge, becoming the first American to medal in the event. The five Olympic rings whose blue, yellow, black, green and red colors represent every flag in the world, is the most recognizable symbol worldwide. What those rings mean, however, differs from person to person, as their perception is shaped by their own experiences, relationship to sports and the media. When I look at those five rings joined together I see the Olympic and Paralympic values of friendship, respect, excellence, determination, inspiration, courage and equality. We, as a species, collectively crossed vast cultural and geographic divides to create the greatest celebration of humanity and with that event attached a distinctive Olympism philosophy. A philosophy that is a way of life based on the joy found in physical effort, the educational value of being a positive and responsible social example and respect for basic fundamental ethical principles. The goal is to use sports as a means to unite humankind harmoniously, promote peace and preserve human dignity. When I was 8 years old, I had no concept of the Olympics or what the Olympics would eventually mean to my life. At that young age when I discovered luge I only saw it as the ultimate sledding hill and one of the few things I looked forward to during the frigid winters in Lake Placid, N.Y. But as time went on and my passion for luge took me to Europe at the impressionable young age of 13, I began to see how fulfilling this sport was even outside of competition. The friends I made with my competitors helped shape me into a better athlete, son and brother, and community member. When I qualified for the 2010 Olympics in Vancouver at the age of 21, I realized a lifelong dream after a decade of determination and effort and for the first time had the opportunity to experience the Olympics, and the Olympic Philosophy, firsthand. My experience in the Vancouver Winter Olympics taught me that the actual competition is only one small part of the Olympic experience. I joined all of the other U.S. athletes to walk in the Opening Ceremonies and collectively to represent an entire nation. In that moment I got to meet firsthand some of America’s greatest winter athletes and how truly humble and inspiring they are. During the ceremony, to see a crowd filled with people from across the world that would support and cheer us on is a feeling impossible to describe and showcased how sports can cross divides and bring disparate peoples together in celebration. Another way I saw how sports could unite countries and cultures was, unfortunately, a result of the passing of fellow luge competitor Georgian Nodar Kumaritashvili during a training accident. Athletes from unique parts of the world joined together in remembrance to pay respect and help process the tragedy in front of the world’s media. 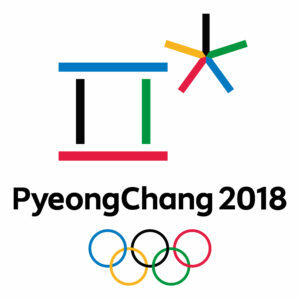 This is my third Olympic Winter Games, and the trend that I have seen since Vancouver in the buildup to both the summer and winter Olympic Games is coverage in the media straying from the athletes or the values of Olympism, which I believe makes the Olympic Games society’s greatest event. We need to highlight the athletes who don’t take shortcuts to achieve their goals and who compete through determination, perseverance and consistency to attain what people may see as impossible. We need to be showing our youth the heroes of the Olympics, not the negative and easily sensationalized aspects of humanity. As amateur athletes who, for the most part, do not receive the coverage that professional athletes enjoy, the Olympics is our opportunity to show integrity, determination and the sacrifices that we have made to pursue our passion and sport. This is the opportunity to highlight true role models for society and focus on how we can find a common theme through sports and connect with other people from around the world. How a community of people from such different backgrounds can find friendship and understanding. The Olympic movement, in my opinion, is the one event that brings the entire world together in a harmonious expression of human nature. We are all different in terms of language, ethnicity and culture, and the beauty of the Olympics is that our societal differences do not matter. We need to refocus the narrative surrounding the Olympics on the positive ideals of Olympism, the meaning of the five rings, athletic heroism and positive societal role models. Sports can, do and will change the world. Chris Mazdzer, a U.S. luger, is a seven-time national champion, with 10 career individual World Cup medals, and a three-time Olympian. He wrote this for InsideSources.com. Would Delivery Drones Spare the Valley’s Dirty Air?